The Trafalgar Chronicle, the yearbook of The 1805 Club, has established itself as a prime source of information and the publication of choice for new research about the Georgian navy, sometimes also loosely called Nelson s Navy. Successive editors have widened the scope to include all sailing navies of the period, while a recurring theme is the Trafalgar campaign and the epic battle of 21 October 1805 involving British, French and Spanish ships, and some 30,000 men of a score of nations. 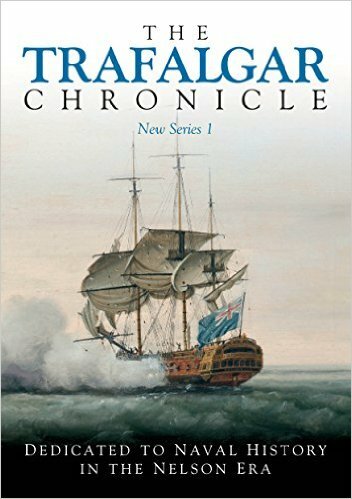 Contributors to the Trafalgar Chronicle are the leading experts in their field, whether they are Professor John Hattendorf from the US Naval War College in Newport, RI, Professor Andrew Lambert from King s College, London, or antiquarians and enthusiasts. Each volume is themed and this new edition contains a particularly Anglo-American flavour, focussing on North America and North Americans in Nelson s Navy, with one article, for example, describing how the US National anthem was composed onboard a British warship. More than eighteen articles offer a huge wealth of information and new research and include such diverse subjects as the true colours of Victory and the story of the little known American, Sir Isaac Coffin, who helped carry the pall at Nelson s funeral. Handsomely illustrated throughout, this yearbook casts intriguing light on that era of history which forever fascinates naval enthusiasts and historians alike.